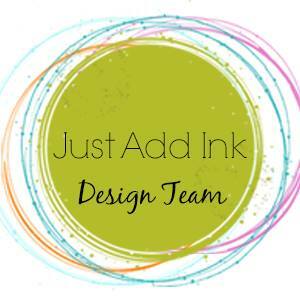 The new Just Add Ink Challenge is here…..Just Add…..Gift Tags, is Challenge # 340. Although there are not many weeks left of 2016, this is such a fabulous time of year to get to your craft table or room and create. 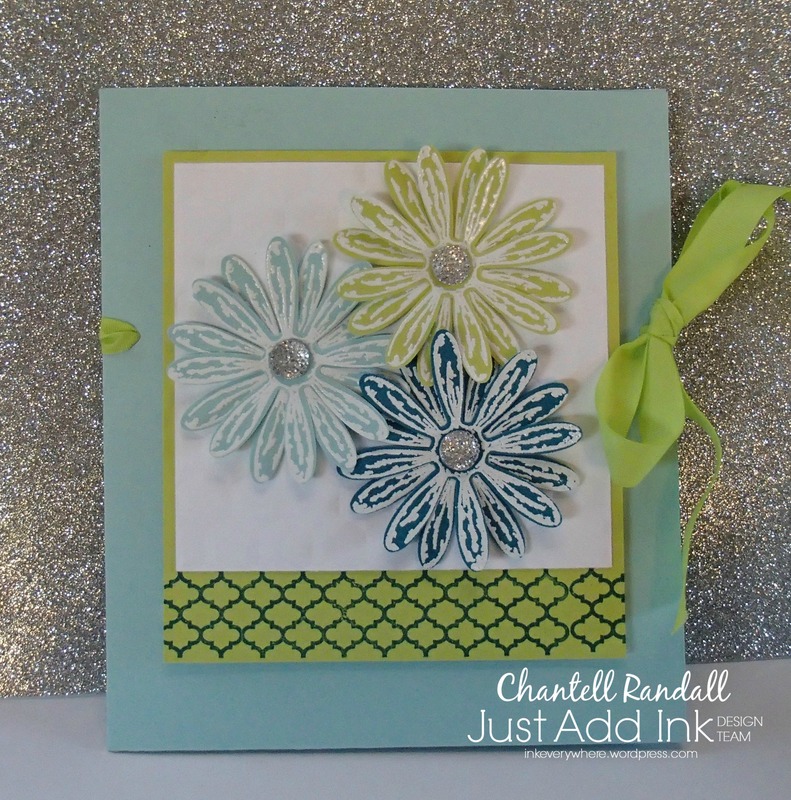 And this weeks Challenge is perfect for creating …. 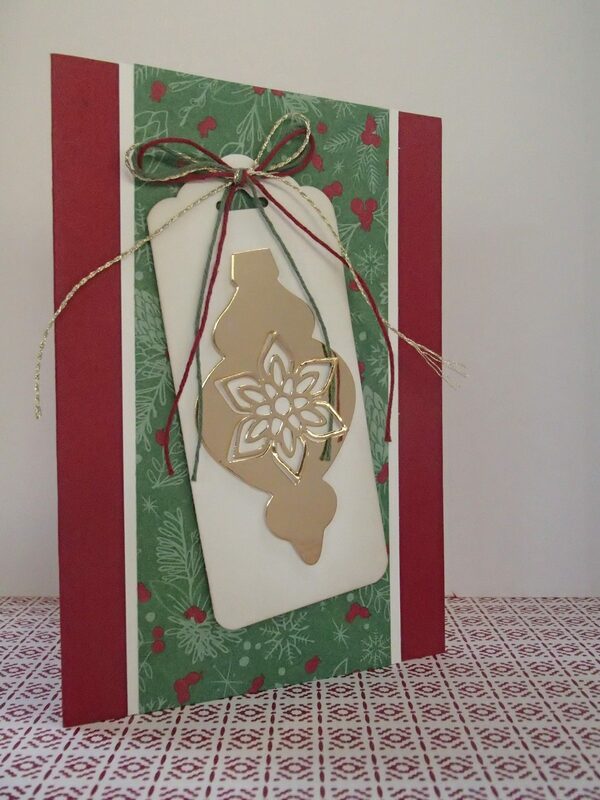 because Just Add Gift Tags allows you to create small unique pieces of art with loads of Bling and Glitter and Ribbon and…..you name it! 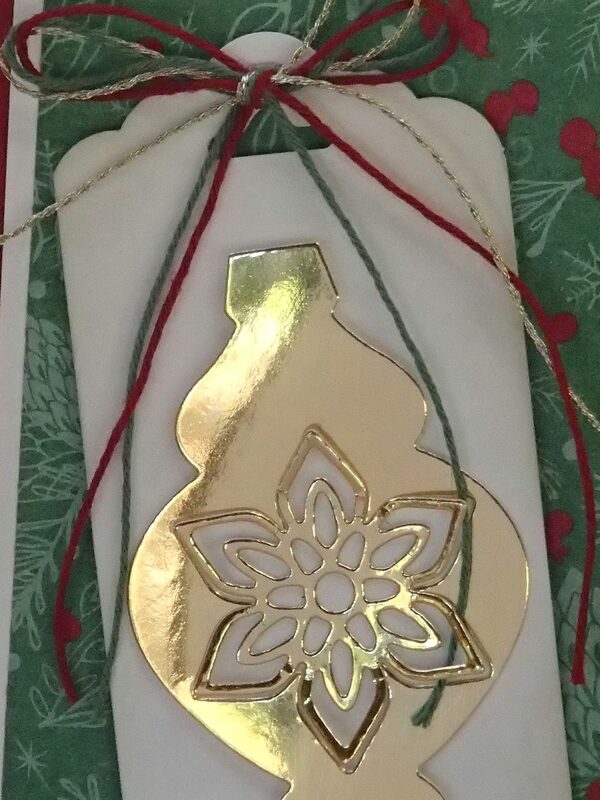 I used Gold Foil Card to make the Ornament – and all I can say about that is…..it’s really really hard to photograph!! 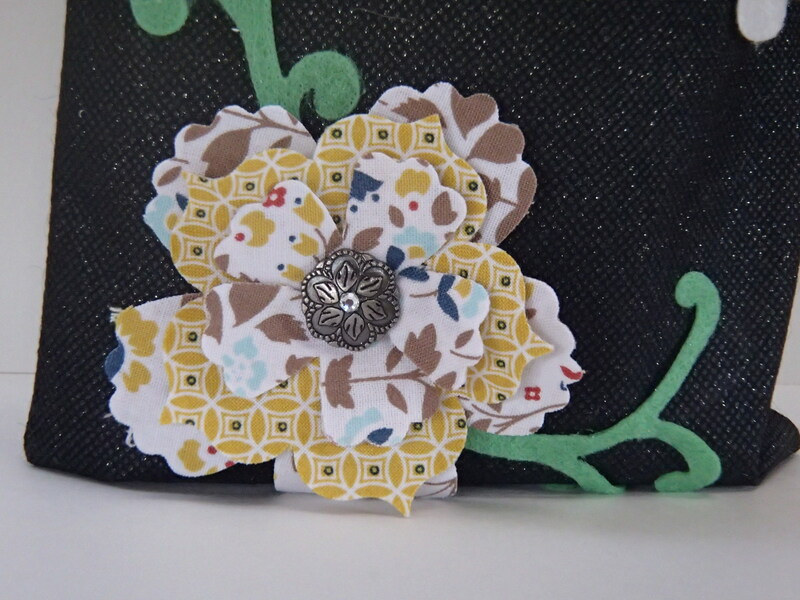 But the card was quick and easy to put together and would work just as well as a tag only. So – go to Just Add Ink to get some further ideas – you will see by the gift tags the design team have created the ideas are endless. They have made some beauties. Have fun with this Challenge and remember to share your projects with us. The first Term at School is nearly done, the Hot Cross Buns have been in the shops since Boxing Day and the supermarkets are full of wall to wall Chocolate Eggs – so that must mean a sneaky Bunny is about to go hopping through town – leaving hidden treats everywhere! And when the bunny does arrive, we at Just Add Ink will be ready with our Just Add Easter bags, boxes and baskets……..hee hee hee!! I made a box and matching card. 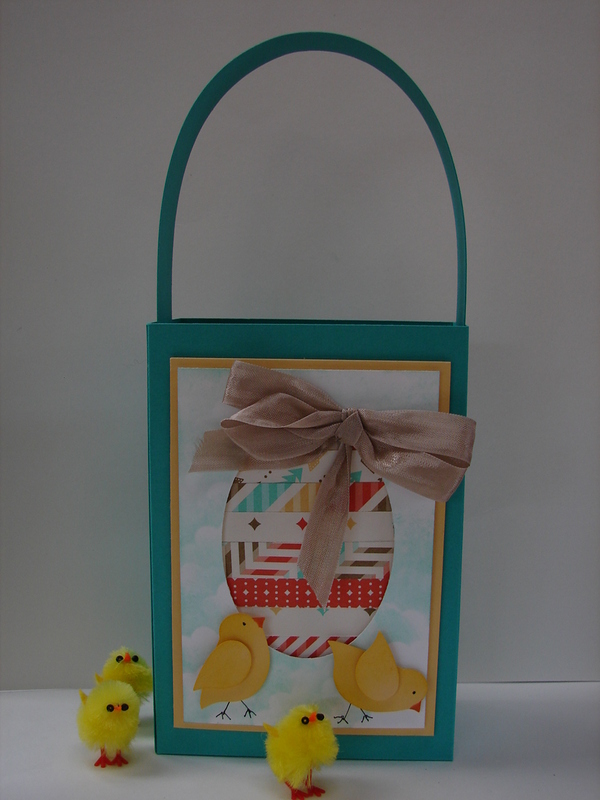 I used strips of paper to make the decorated panel for my egg shape. The little chicks were made with the Bird Punch. 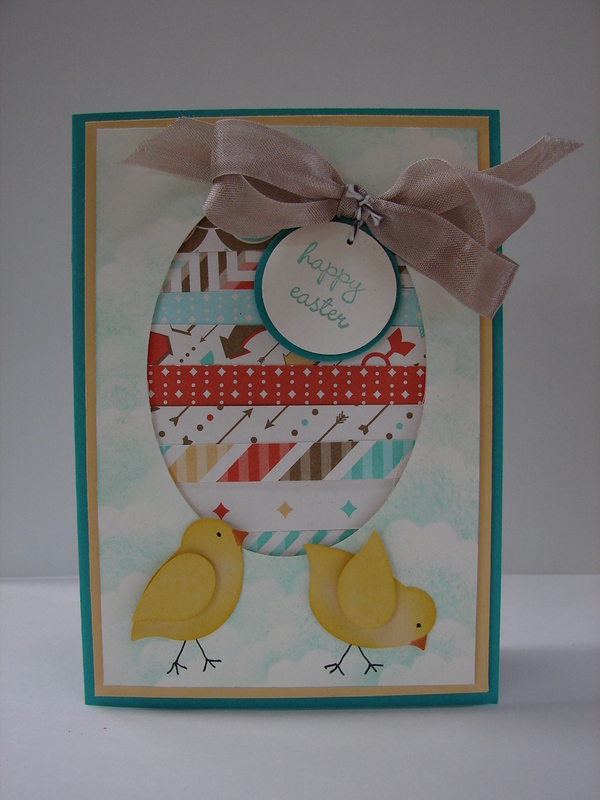 Visit Just Add Ink to see more Easter boxes and baskets. The week is almost over – as is January! and that means it’s time for another Just Add Ink challenge. This week’s challenge (and great idea) was suggested by the lovely Tina Gillespie. 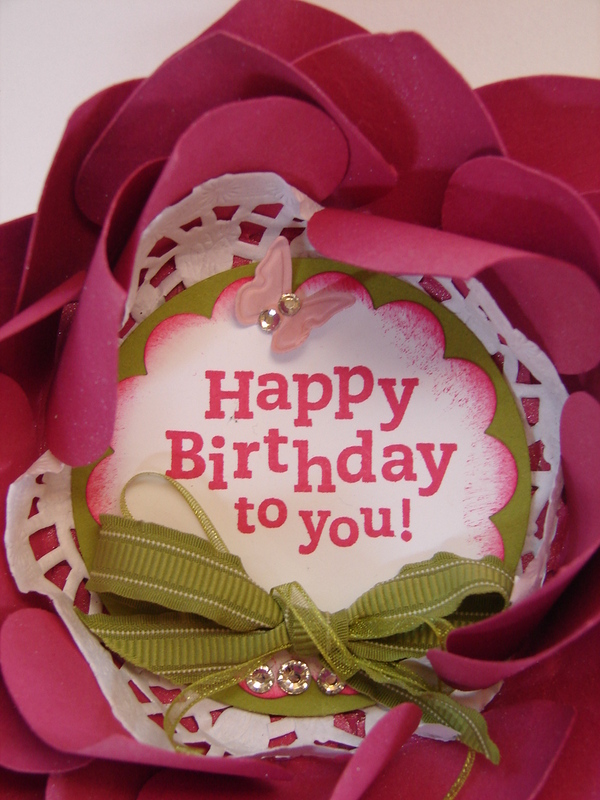 It is to: Just Add….a Shaped Card! So that means any shape you would like, whether it be using dies, a pre-cut shaped card, templates or even your own design! My friend also likes sparkly things – so I added a few Rhinestones and also spritz it with Shimmer Paint. Inside I added some little flowers that also helped to hold the Easel open. 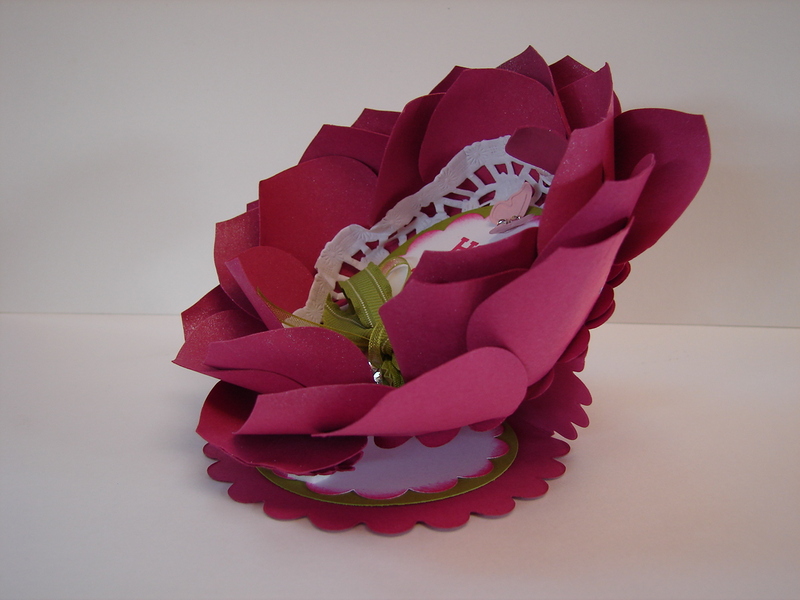 Follow this link to see the other fabulous Shaped cards that the Design Team have come up – they are truly amazing. 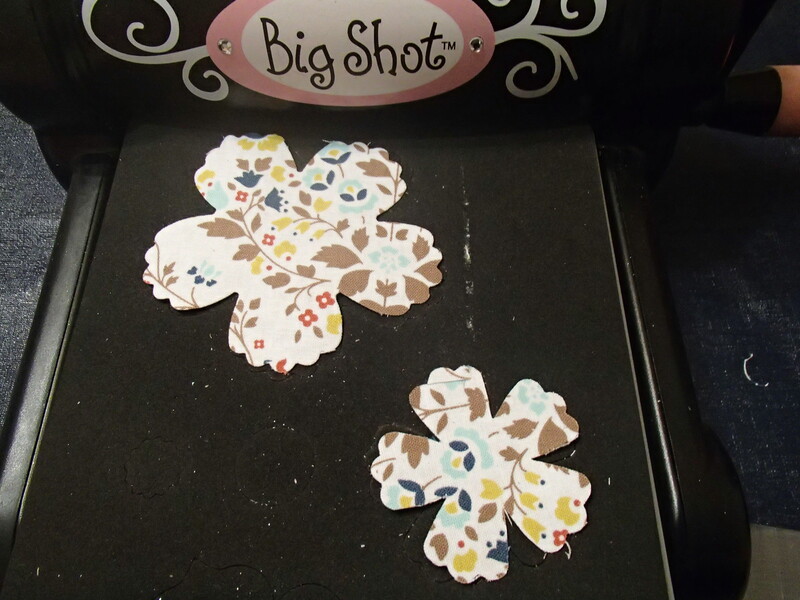 Way back in July I made a Card and some Luminaries for the Just Add Winter Challenge (JAI # 125). I had several people ask me about how I made them so I have put together this tutorial for you. 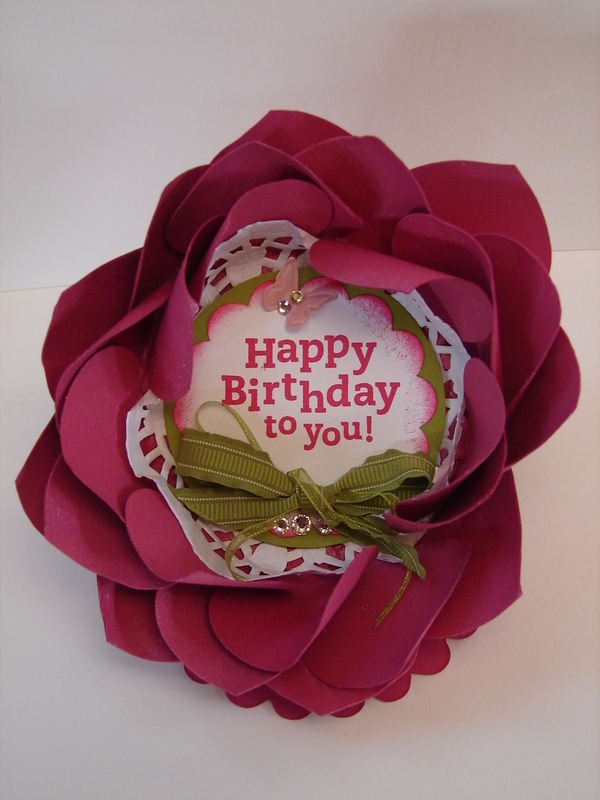 They are quick and easy to make, are great for decorating tables, mantles and also make cute little personalized gifts. I started with 1 piece of Night of Navy card stock that makes the base of the luminary and a piece of Vellum that makes the sides. 1 – 3“ x 3” . I scored this at ½” on each side. 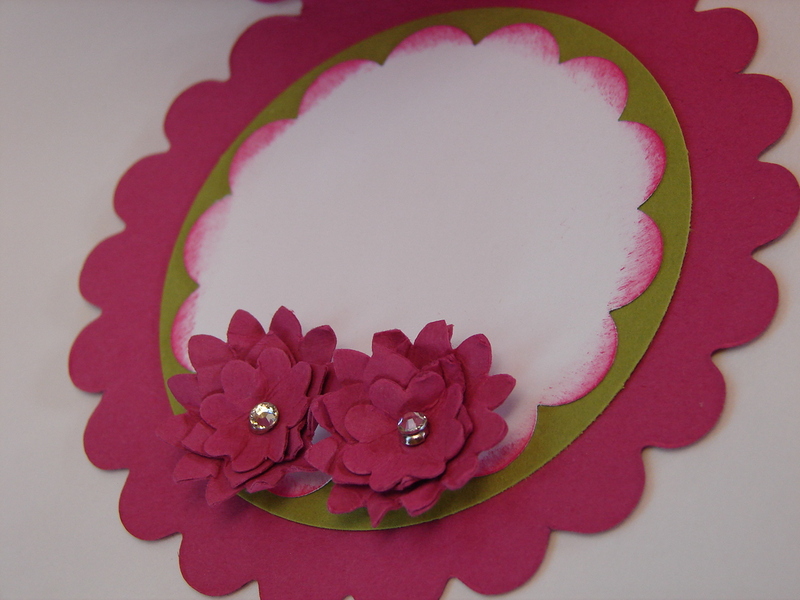 Cut slits into each side of the Night of Navy card stock and crease to make your box shape. Using sticky strip put the box together. . Stamp your Vellum. I have used the Lovely as a Tree stamp set with Night of Navy Ink. But they can be stamped to suit the occasion you are making them for. Fold and crease your vellum along the score lines – so it makes the outside box shape. Run some sticky strip down the ½” section – this goes on what will be the outside of the luminary (but don’t stick it together yet). Run a strip of sticky strip around the outside edge of the luminary base. Starting with the ½” section of the vellum, stick the vellum around the base. Remove the sticky strip from the side of the vellum and stick the vellum wall together. Your luminary is now complete and you can decorate it with ribbon (which also hides your sticky strip at the bottom and add a small embellishment if you wish. I use the battery operated tea lights in mine – which are very safe. 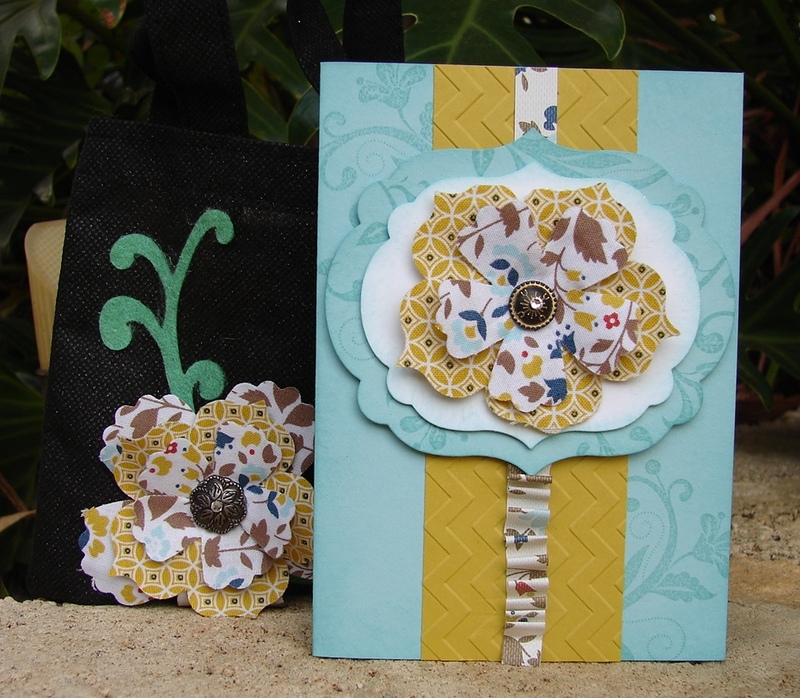 To see others that my Card Class Ladies and I have made follow this link. Gee – the week has gone fast. It’s nearly time for another Just Add Ink Challenge……but before then I wanted to share this Birthday Card with you – that I got from my sister – Nadine. 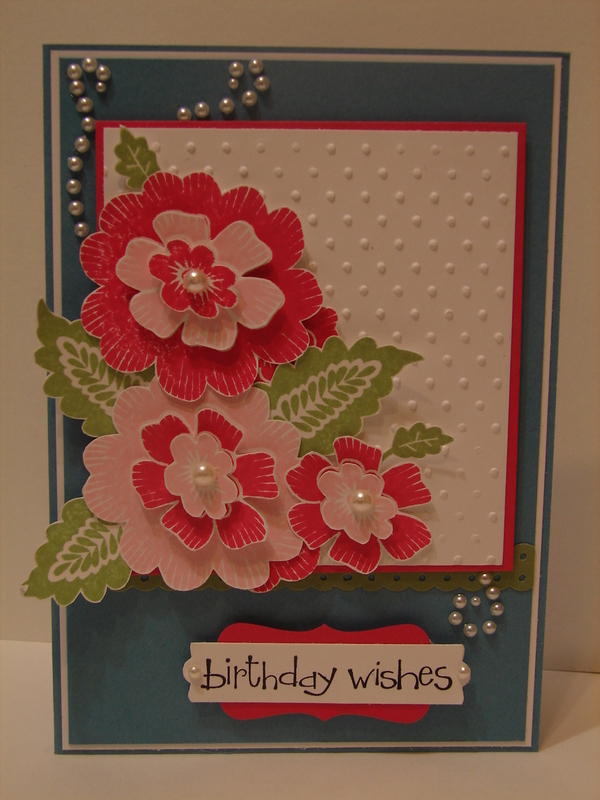 When Nadine saw that the Just Add Ink Challenge this week is – Just Add Pearls – she said – I know I can enter your Birthday Card ……. but then she realised she had not taken a pic of it. Ohhh no! So I have taken the pic and am sharing this for her. She planned to blog it herself – but has got caught up at work. 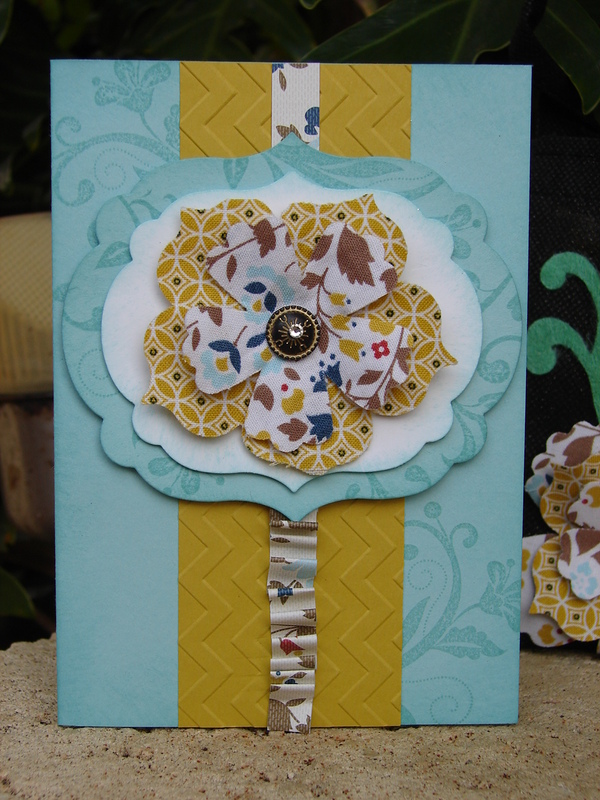 The Stamp Set Nadine has used is a Hostess Set called Array of Sunshine – it’s lovely isn’t it. The colours are Melon Mambo, Pretty in Pink, Wild Wasabi and Marina Mist. 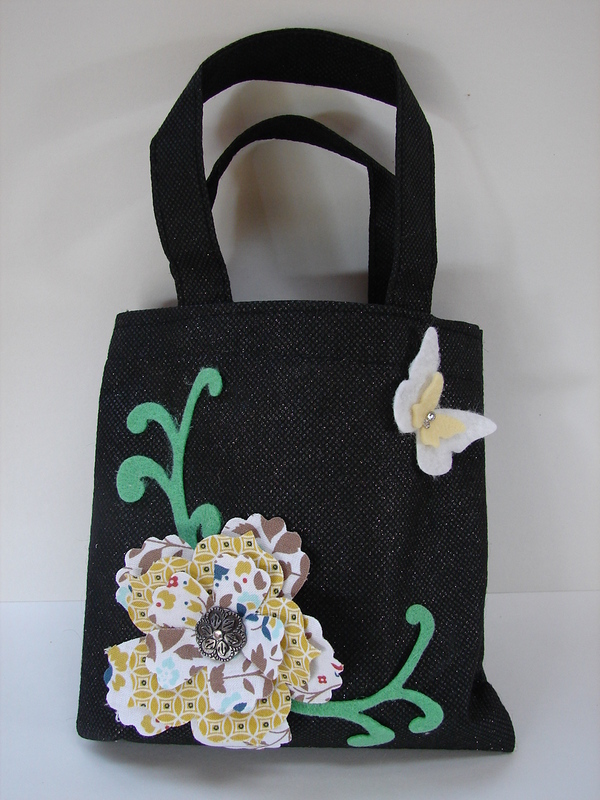 Very Pretty – Thank you Nadine.